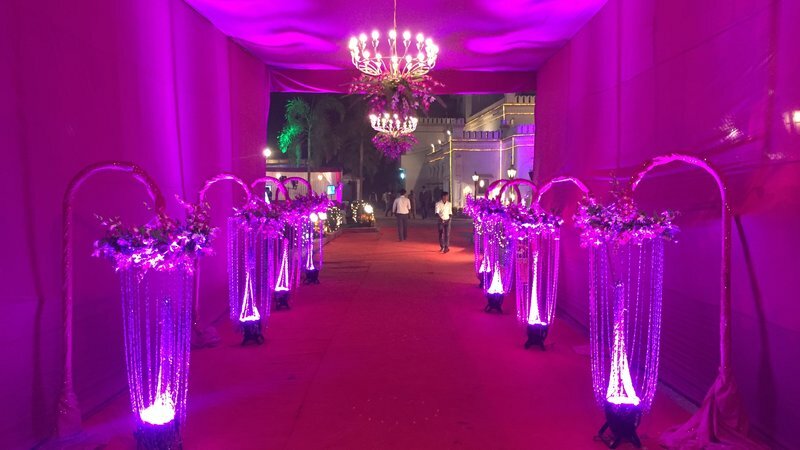 Entrance from ‘Gate 2’ . 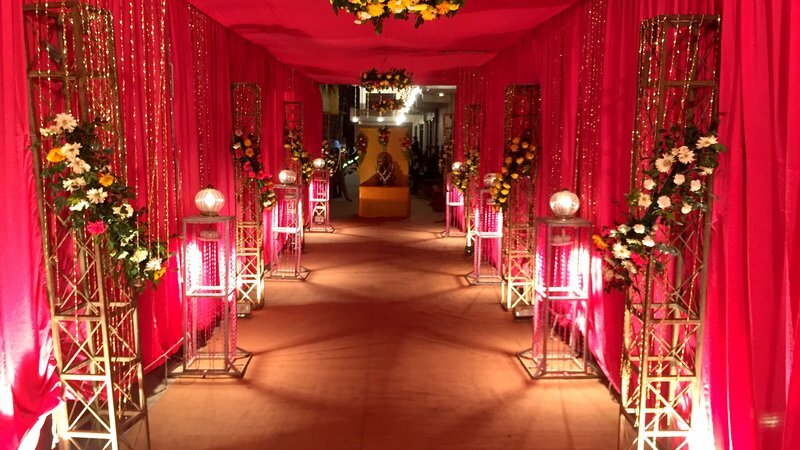 Entrance from ‘Gate 1’ . 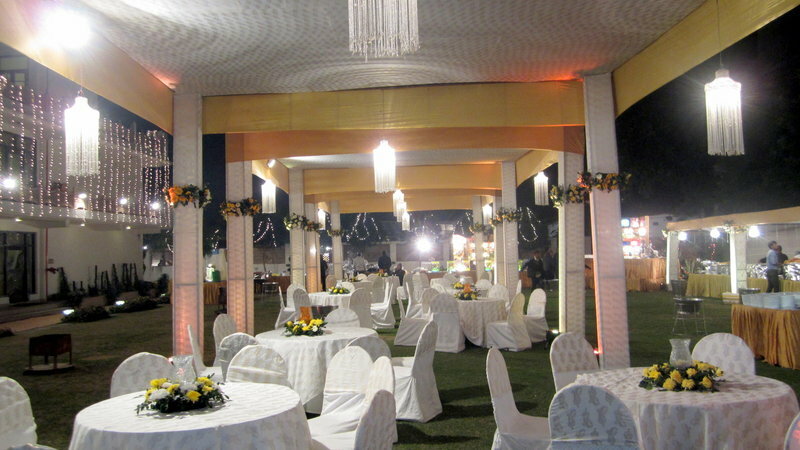 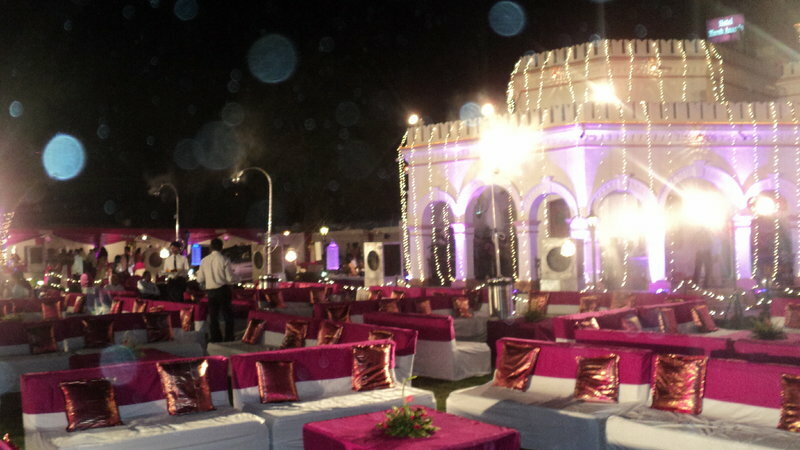 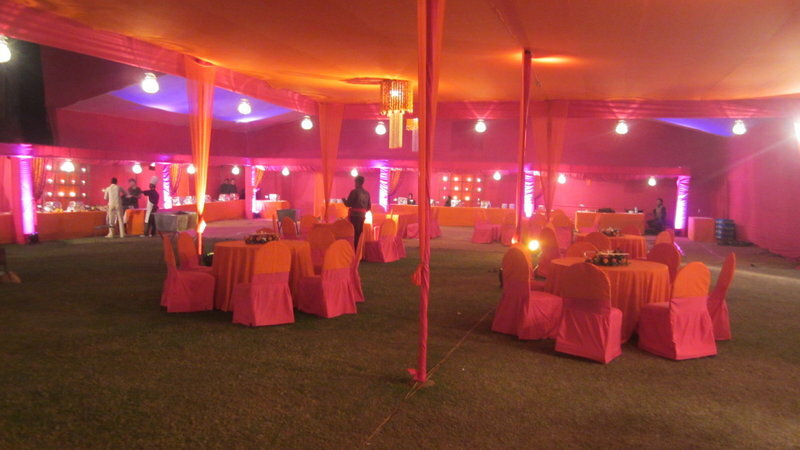 We Cater to all such events and planning & organizing them by providing customized solutions as per need and budget. 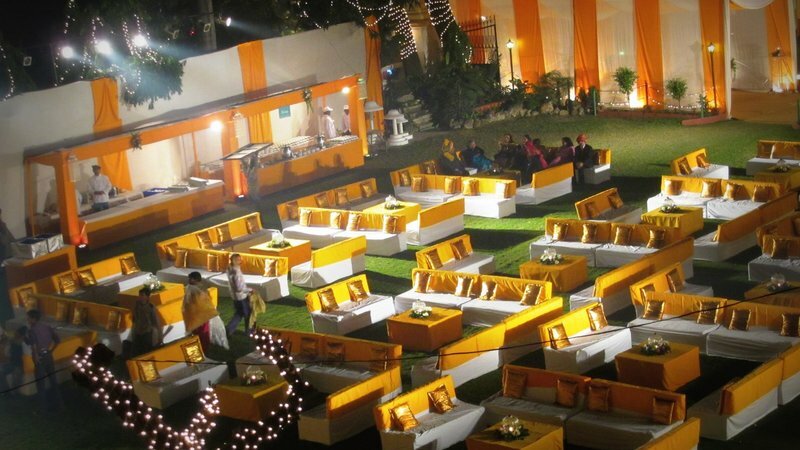 We have an in-house Caterer experienced in preparing the tastiest & lavish dishes with top quality service. 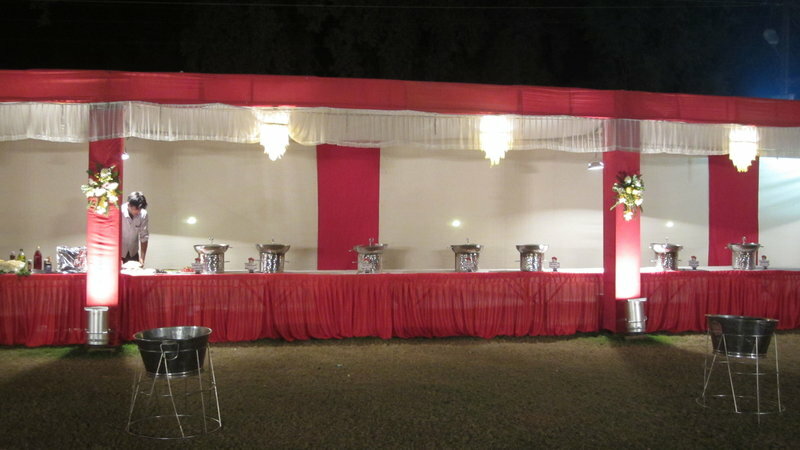 Pre-Defined set menus are available but can be totally customized as per your need, liking & budget. 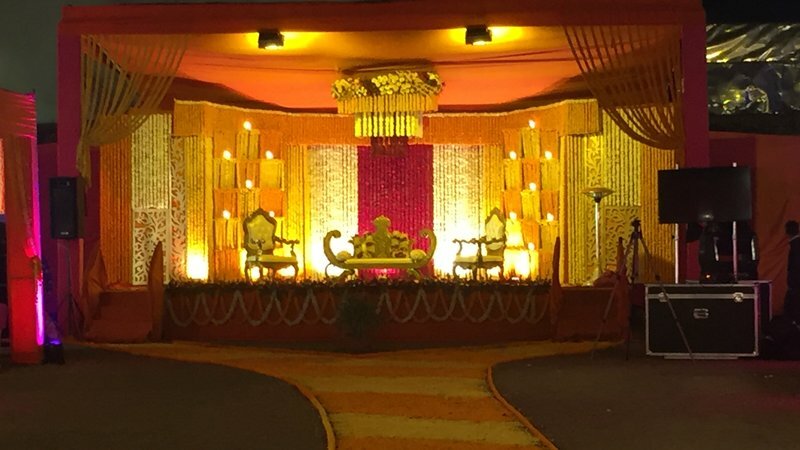 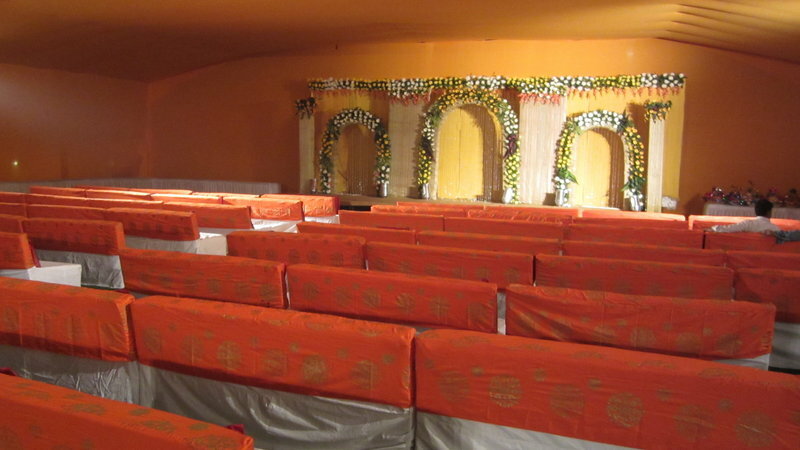 A Wedding is a Once in a Lifetime occasion for two families and it should be done in a special way..
We have our own very experienced and expert Team of Tent Decorator , Electric Decorator & Floral Decorator who will as per your liking and with the help of in-house wedding planner design and plan your wedding look & feel. 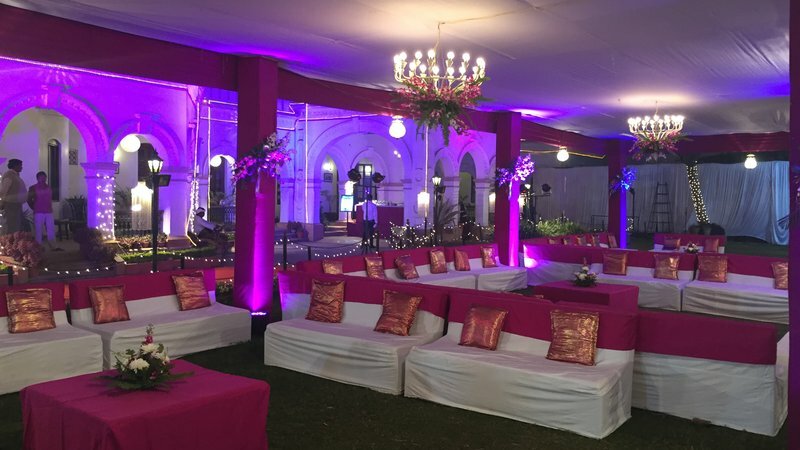 We do all types of wedding Themes : Single Colour & Double Colour Themes viz Pink, Yellow , Orange , Red , etc , Village Theme, Buddha Theme, Rajasthani Theme , Peacock Theme , etc. 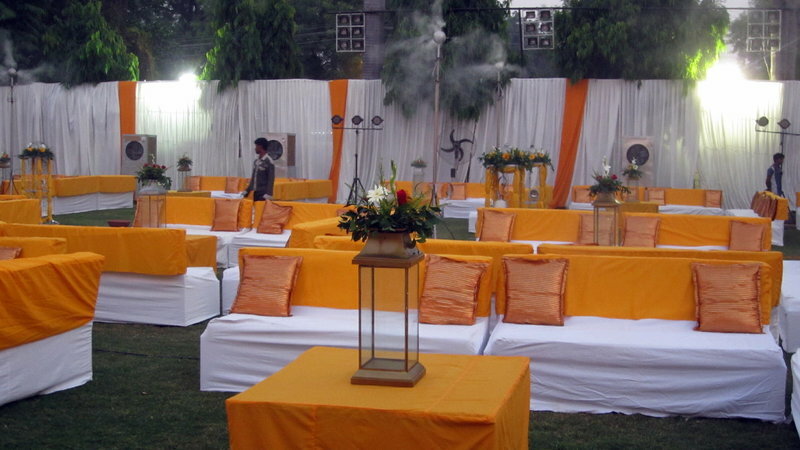 We can also design a completely new theme for you if you want. 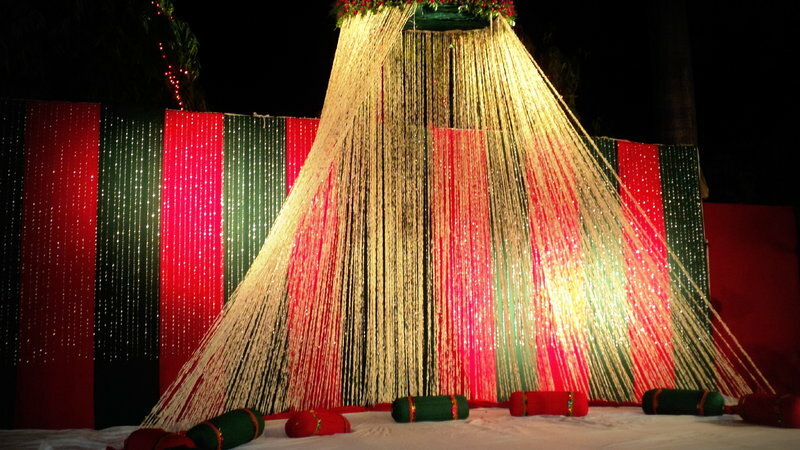 Fixed Packages as per Space booked are also available. 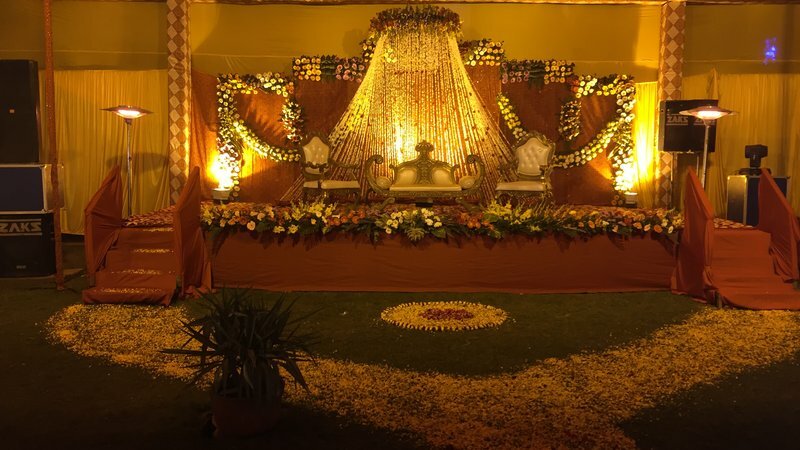 We have our preferred list of vendors for various other services and we will be happy to arrange them for you if you need them. 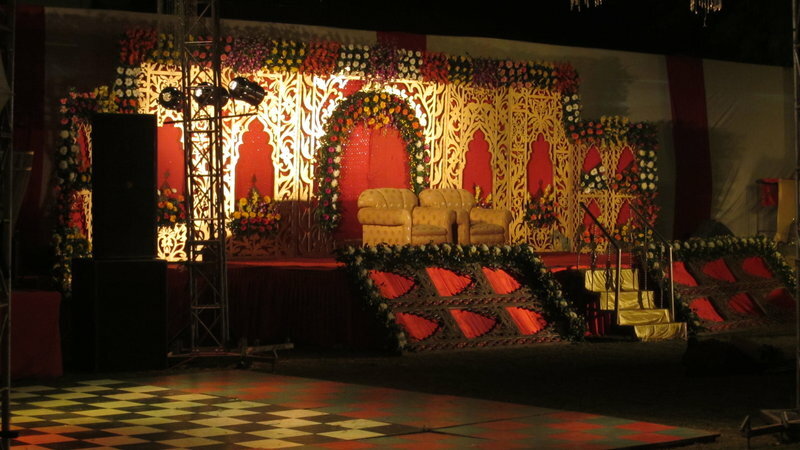 Let's get you Married, the Royal Way !!! 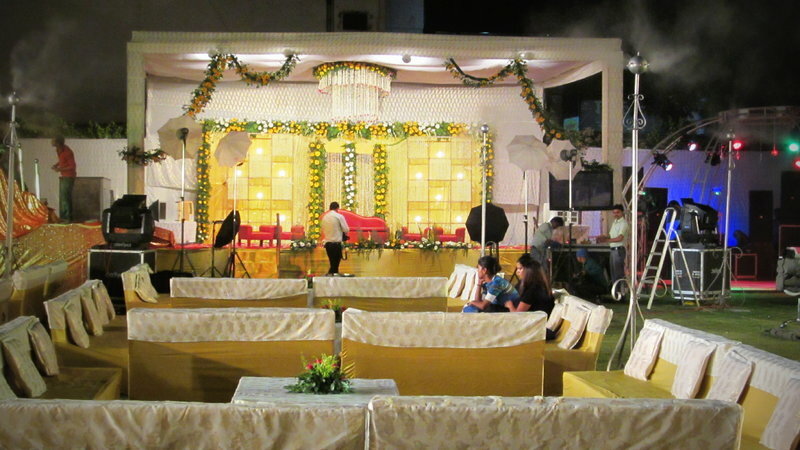 We will get back to you as soon as possible with an initial solution and availability on the above dates.